At the very least, Blizzard is looking into an adjustment for the ability. 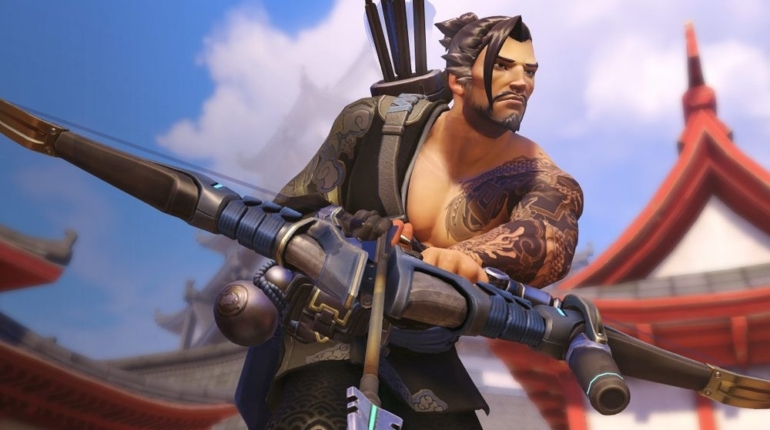 Many Overwatch players find Hanzo’s Scatter Arrow to be unfair. Overwatch game director Jeff Kaplan uses Orisa as an example—it doesn’t feel very good as an Orisa player to get one-shot killed by a Hanzo player shooting a Scatter Arrow at your feet, but it happens. Kaplan confirmed in a Developer Update on Jan. 25 that the Blizzard balance team is looking to adjust the ability to make it more fair. But there’s also a few ideas that could outright replace Scatter Arrow. “Internally we’re doing a lot of prototyping and play testing so we haven’t really settled on which direction we’re going to take it,” Kaplan said. But a change is coming, Kaplan just didn’t say when or exactly what it’ll be. Symmetra and Mei are two heroes that Blizzard is also considering for balance adjustments. Both heroes fall into the highly situational category, Symmetra more so than Mei. Neither hero is in a horrible place, according to Kaplan. Mei, in particular, just needs a slight adjustment to make her a bit more relevant in certain situations, while Symmetra could require a bit more work—but still nothing massive. Of course, Kaplan touched on Overwatch’s most contentious balance adjustment right now, Mercy. Mercy’s Valkyrie makes her much too powerful and hard to handle, according to Kaplan. Her Resurrect, while using Valkyrie, feels like another ultimate and not a secondary ability, and that’s not what the Blizzard team was going for. Kaplan didn’t mention when the Mercy update will go live alongside the Junkrat nerf, but players can expect it relatively soon. Kaplan rounded out his Overwatch popular topics chat with a bit on toxicity in the game, noting that statistics show the game is less toxic since the recent player reporting system was introduced. Blizzard added a feature in December that notifies players in-game when a player they’ve reported has been actioned. Incidents of abusive chat are reportedly down 17 percent in Competitive Play since then, Kaplan said, but general player reporting is up 20 percent. There’s still a lot to be done in Overwatch, and there always will be, but Kaplan thinks the team is doing a dang good job.